21 October 2014. The biotechnology company Inovio Pharmaceuticals Inc. and partners are developing synthetic antibodies based on DNA that generate an immune reaction to prevent infectious diseases, a project funded by Department of Defense Advanced Research Projects Agency or DARPA. The $12.2 million DARPA grant is supporting the work of Inovia, in Plymouth Meeting, Pennsylvania, with the MedImmune division of pharmaceutical company AstraZeneca, and University of Pennsylvania medical school. The study aims to design and test monoclonal antibodies, proteins created to bind to the surface of specific antigen cells, lymphocytes or white blood cells in the immune system that generate an immune response attacking pathogen invaders, such as bacteria or viruses. The pathogens targeted in this project are Pseudomonas aeruginosa, Staphylococcus aureus, and influenza viruses. Pseudomonas aeruginosa is a bacterium that can cause ear infections and skin rashes in healthy people, but poses a more serious risk to hospitalized patients and those with weakened immune systems, resulting in blood infections or pneumonia, often in health care settings. 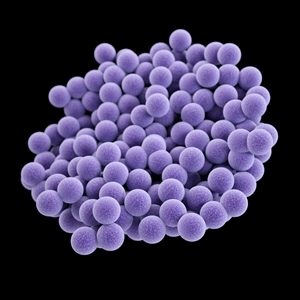 Staphylococcus aureus is bacterium responsible for staph infections on the skin, food poisoning, and serious disorders including toxic shock syndrome. One form of staph infection, Methicillin-resistant Staphylococcus aureus or MRSA is resistant to methicillin and other antibiotics, making it difficult to treat. MedImmune, in Gaithersburg, Maryland, is a pioneer in the development of monoclonal antibodies, while Inovia is designing DNA-based monoclonal antibodies and vaccines, as well as a delivery system for these biologics. The delivery system, known as electroporation, sends millisecond-timed electrical impulses to create temporary pores in cell membranes, allowing for faster uptake of the payload. While monoclonal antibodies are gaining more interest for their therapeutic potential, they remain time-consuming and expensive to produce, as well as having limited duration of potency in the body, requiring frequent repeated doses. In this project, the team plans to advance the technology, making it possible for monoclonal antibodies to be generated inside the body, thus simplifying their design. The researchers aims to adapt a technology harnessing DNA, developed in the lab of David Weiner, a professor of pathology and immunology at Penn’s Perelman School of Medicine, and licensed by Inovio. Weiner and colleagues created some of the earliest DNA-based vaccines for HIV and cancer, and advanced them into clinical stages. The companies and university plan to test encoding DNA sequences for monoclonal antibodies in DNA plasmids, circular DNA molecules found in nature, but can be used to transfer or manipulate genes. The plasmids then are delivered via electroporation directly into the target cells, where the DNA sequences produce the desired monoclonal antibodies inside the cells. Inovio says preclinical studies show monoclonal antibodies based on DNA generated immune responses against HIV in lab mice. In this project, the team will demonstrate the ability of DNA plasmids with DNA sequences to generate monoclonal antibodies specific to the two targeted bacteria and influenza viruses, and in sufficient quantities to protect against those pathogens. While the grant funds preclinical studies, the researchers expect successful results will lead to commercial product candidates and clinical trials.